Intrarenal tissue hypoxia is an acknowledged common pathway to end-stage renal disease in clinically common conditions associated with development of chronic kidney disease, such as diabetes and hypertension. In diabetic kidneys, increased oxygen metabolism mediated by mitochondrial uncoupling results in decreased kidney oxygen tension (PO2) and contributes to the development of diabetic nephropathy. 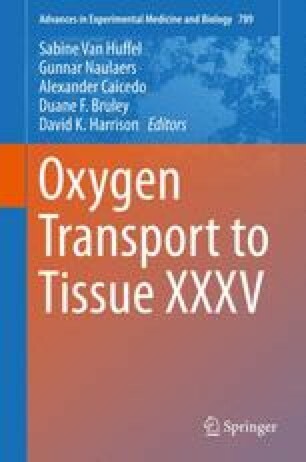 The present study investigated whether increased intrarenal oxygen metabolism per se can cause intrarenal tissue hypoxia and kidney damage, independently of confounding factors such as hyperglycemia and oxidative stress. Male Sprague–Dawley rats were untreated or treated with either triiodothyronine (T3, 10 g/kg bw/day, subcutaneously for 10 days) or the mitochondria uncoupler dinitrophenol (DNP, 30 mg/kg bw/day, oral gavage for 14 days), after which in vivo kidney function was evaluated in terms of glomerular filtration rate (GFR, inulin clearance), renal blood flow (RBF, Transonic, PAH clearance), cortical PO2 (Clark-type electrodes), kidney oxygen consumption (QO2), and proteinuria. Administration of both T3 and DNP increased kidney QO2 and decreased PO2 which resulted in proteinuria. However, GFR and RBF were unaltered by either treatment. The present study demonstrates that increased kidney metabolism per se can cause intrarenal tissue hypoxia which results in proteinuria. Increased kidney QO2 and concomitantly reduced PO2 may therefore be a mechanism for the development of chronic kidney disease and progression to end-stage renal disease.